It started with a birth announcement- we were thrilled to hear about the birth of our first niece/grand daughter. As two baby-crazed aunt and grandma’s to be could be expected to do, we immediately started to purchase things for the baby and her nursery. We had made signs in the past for clients, but never considered making one for the babies room until we realized just how few options there were. Every baby name sign seemed to use the same ‘whimsical’ looping font. They were all made with wood letters, or painted onto a rectangular piece of wood. The standard baby decor isn’t exactly our style- we were looking for something more neutral- something that would grow with the babies room as she grew older. From this disappointment with offerings online came our popular nursery name signs that we offer today. We selected colors combinations that we knew would suit most styles and preferences. Because every sign is created by hand, we are able to customize the color and names to order giving you full control over the design of your sign. While we do recommend our provided color combinations, local clients can drop into our 33 Kent street location and select their own combinations. These nursery signs are available in our regular etsy shop in addition to the specific Nursery Decor Etsy shop we set up to make these products easily accessible. You can click on any of the links in this biog post to visit the products and take a look for yourself! In addition to nursery decor, our signs can be created with a families last name. These signs look great on a front door, in an entry way, or screwed directly into each of your chidlren’s rooms. We provide custom gift certificates for name signs upon request for baby showers, housewarming parties or other occasions like birthdays and baptisms. 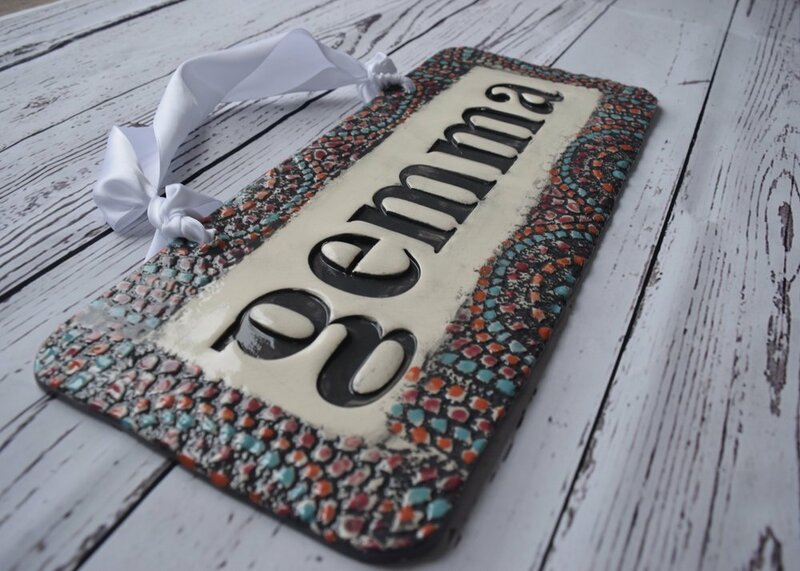 Click the images to shop the nursery name design in our Etsy shop! 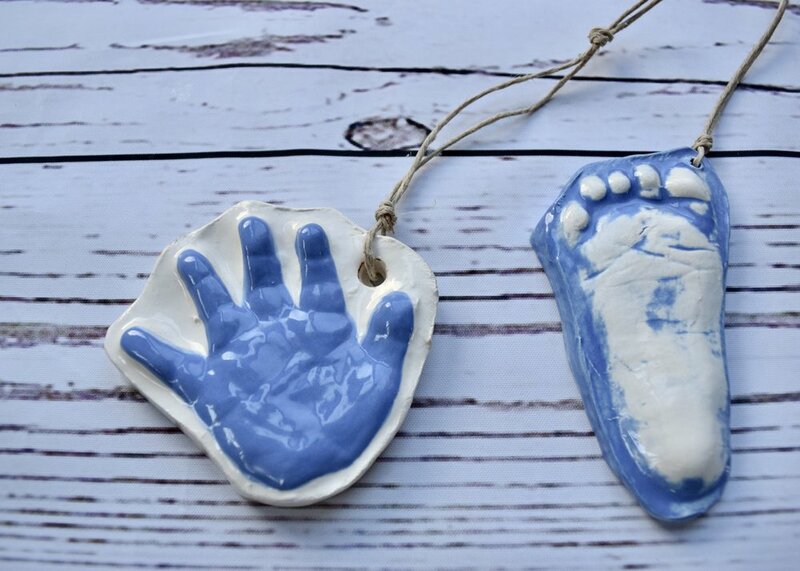 We also have tons of other adorable nursery items like one of a kind mobiles and hand or foot print kits by mail. Circular ornaments for new borns. Organic cut ornaments for babies and toddlers. With so many unique and one of a kind items to chose from, opt to give the gift of handmade this year! Click the links to view our products and check out our etsy shop for new goodies uploaded regularly!